Welcome to the Midwest Model Shipwrights Website! The Midwest Model Shipwrights was formed in 1982 by individuals who had a common interest in model ship building and maritime history. Goals of the club are to discuss and share modeling ideas and concepts while making new friends. Our members today represent all age groups with abilities varying from novice to expert. 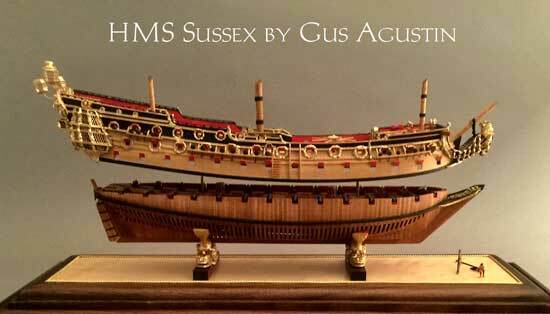 Vessels built by the Shipwrights represent a variety of types and eras. Sizes range from miniatures a few inches in length to radio control warships over five feet long, and from basic to amazingly complex. Our membership includes beginning through advanced modelers, some of whose works can be found in museums, galleries and private collections. In spite of all these accomplishments, our organization's primary focus remains the interaction between expert, intermediate and novice. We are most proud of the attitude our members have towards each other. Newcomers to the hobby and our club invariably feel at ease due to the supportive philosophy we profess.